You Think Roaches are Nasty? I’ve had a few run-ins with roaches over the years. Whenever I see them I suddenly feel grossed out and itchy. But what if they lived in your drinking water supply? Would you still drink the water? I bet you would if you had no other option. 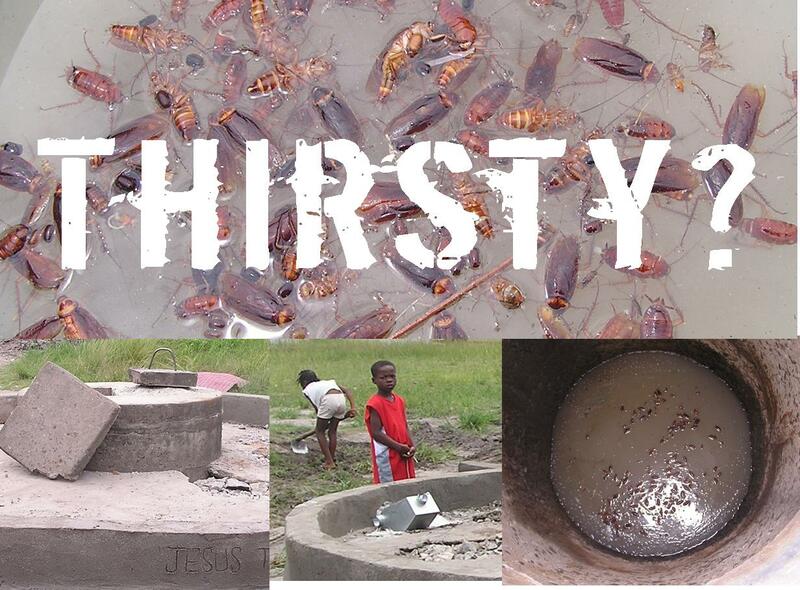 Five hundred people relied on this well as their source of drinking water in Liberia. They didn’t have a choice. Thanks to Water of Life they now have a new well and clean water to drink. Kind of changes your perspective, doesn’t it? I tend to be overwhelmingly optimistic. Even when I’m standing at the bottom of a mountain, getting to the top always seems easy. I don’t see the potential road blocks. I am not easily discouraged. I just go. I know I haven’t always been like this but I think my faith combined with years of pulling seemingly impossible stories together on ridiculous time frames has programmed my brain to believe everything will work out. I tackle the issue without worrying about the details. Normally this attitude serves me well. But when it comes to the task of converting our attic into a master suite my optimism has been tested. So far we’ve failed every initial inspection but one. I learned that despite what you see in design magazines chandeliers are not allowed in walk-in closets. And just because one project is done doesn’t mean you can cross anything off your to-do list. It usually means you’ll have to add a few more things on. The good news is I think we are finally getting to the fun part– pulling it all together. 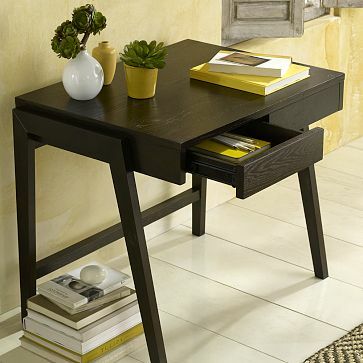 We just picked up this cute desk at West Elm for $57 and some little yellow accessories. I think we are just about done writing huge checks to plumbers and electricians and air conditioning guys. The tile is in and the vanity is built. The paint will go up next weekend and with a little more hard work we should be moving up to our new room by the end of the month. That will give us about two months of living in it before putting the house on the market. It has always been our plan to sell our home after two years, but most people can’t grasp this idea. They all say the same thing– “don’t you want to just enjoy it for a while?” The truth is I have been enjoying it. I love seeing the transformation. I get a sense of accomplishment watching a smelly space that used to be inhabited by squirrels become a beautiful new room. And I think I’ll probably enjoy the money we hope to make off of this project, too. So despite its problems, I’m still feeling optimistic about home renovation. 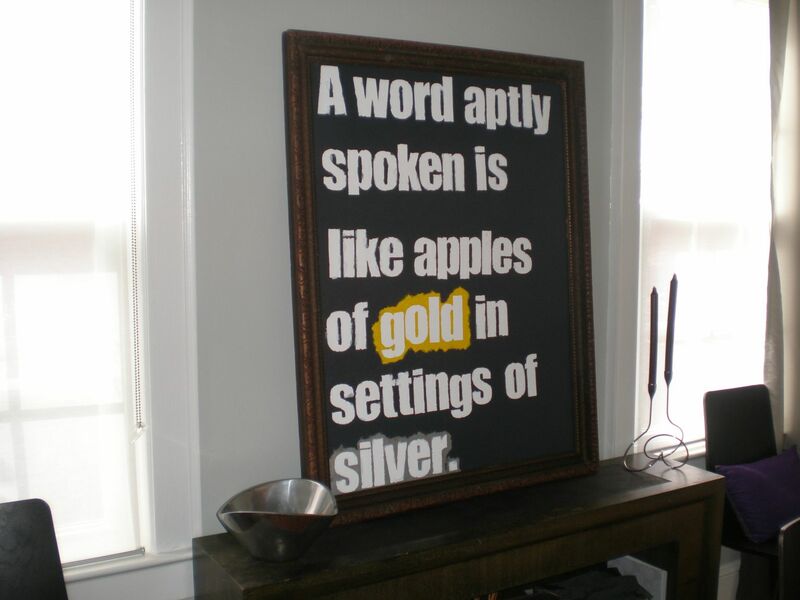 My house lacks art. I’ve got a few cool pieces, but there are way more empty walls than there should be. Several years ago my mom gave me an oil painting of Jesus she got an auction for probably about $10. My mom’s always giving me stuff she bought at auctions. The painting is beautiful, but looks more like it belongs in a museum than my Ikea-filled house. Plus it’s got a big hole in it. However, since I was scared it may be worth like $60,000 and because it’s a picture of Jesus I never got rid of it. I’ve just been storing it, hauling it from home to home, attic to attic. We think it turned out pretty cool, especially since neither one of us is what you would call an artist. I wrote a how-to post if you’re interested in making your own custom artwork. So the frame may not hold a painting of Jesus anymore, but at least it’s still proclaiming the Word of God! 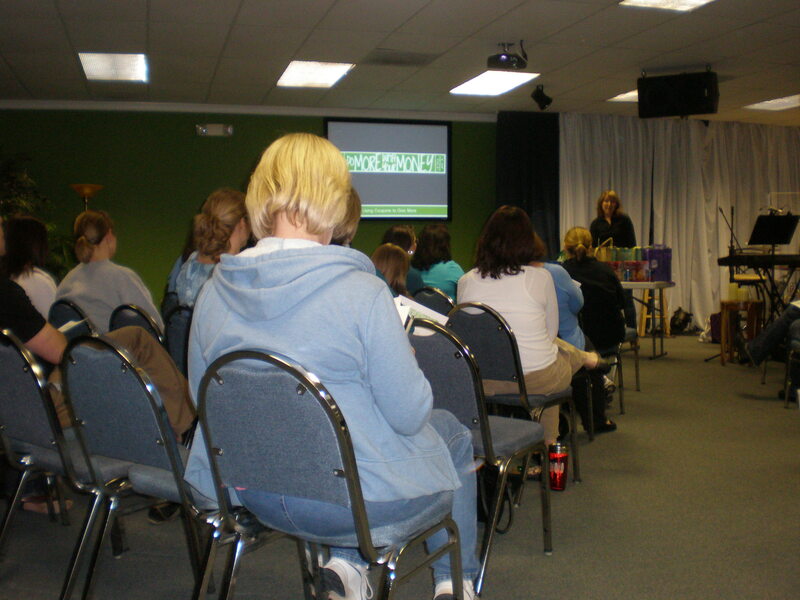 Last night I held my first coupon class at my church, LifePoint. 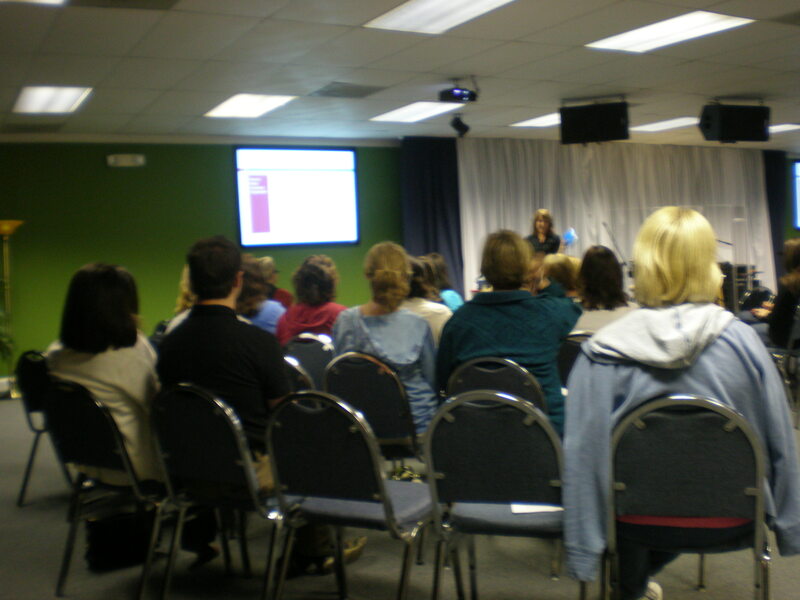 About 20 people turned out to learn how to save more and give more than they’ve ever done before. My main goal was to encourage and inspire people to turn something as seemingly routine as grocery shopping into a task that can bless others and serve God. I’ve been thinking about teaching a class for a while now. But it wasn’t until my church recently brought in two big bins for us to fill up with food to give Miracle Hill Ministries that I realized that now would be a great time to teach others about couponing. Our local food banks are dangerously low so my desire would be that even in this tough economic time people would use couponing as a way to continue to give– and give big! To explain the concept of finding “moneymakers” I showed them how last week I made more than $80 by “buying” four diabetes monitors from Walgreens. That got a big round of applause which just thrilled me. 🙂 That must be how Taylor Swift feels after performing in front of a packed auditorium. I heard from three women who told me they had been praying for God to put someone in their path that could teach them about couponing and they said that person was me! It gave me goosebumps to hear how God’s plan was working out. One lady told me that she wanted to learn how to use coupons so she could give food to a friend that was struggling to make ends meet. I had brought in a bunch of food I bought this week to illustrate what $1 can buy so I ended up just giving her all of that food to get her started. I was going to donate it anyway so this worked out perfectly! I feel really good knowing that maybe I inspired some others to think about how they can use couponing to give more. I’ve been thinking about the Sunday sermon today. Pastor Phil talked about putting our faith into action by using a strategic plan. He said that many times Christians will see an injustice in the world and spend a year praying for God to fix it, not realizing that maybe God put them there to do something about it. To be honest, this has never been my problem. I’ve always wanted to save the world and I’ve been trying to for as long as I can remember. I collected pennies and nickels from my classmates after lunch to buy up some Guatemalan rain forest and help stop the ozone layer from disappearing. I harvested pumpkins in my backyard to raise money for Christmas gifts for needy kids. I sent dozens of letters to celebrities asking for autographs so I could sell them and raise money for leukemia research. I never thought much about this tendency towards action until lately. My pastor has been talking about how so many Christians fail to turn their faith into action. They live their lives, filled with car pool, yoga class and grocery shopping, rarely taking the time to put their faith into action. They start their days with pumpkin spice lattes and end them snuggled up in bed with a Max Lucado book, all the while forgetting that that is not why they’re here. That’s not why I’m here. So because my pastor says until you write something down it really doesn’t truly exist, that’s what I’m doing. The Lord has significantly put two things on my heart over the past few years. I see the importance of both helping in my own community and also helping those suffering around the world. Here are two things the Lord has broken my heart for. Local- Homeless Population: Let me first start with the burden I have for my community. While working as a reporter I did several stories on homeless people. I was inspired to help one initiative in particular called Reedy Place. It gives about a dozen chronically homeless people a place to live. They are given an apartment and they can stay there as long as they want, provided they stay drug and alcohol free and get jobs. Some friends and I have “adopted” these men and women for the past three years to give them Christmas gifts. My hope is that it is an encouragement to them to stay clean and make a difference. But since Christmas only comes around once a year I wanted to do more. I decided to use my new passion for couponing to collect items for Miracle Hill Ministries. Over the past five months I’ve donated $434.12 worth of stuff like toothbrushes, shampoo, and food for Miracle Hill to hand out in their homeless shelters. The cool thing is I’ve only spent $23.94 on those items. To continue this ministry the Lord has prompted me to offer a free coupon class in my community to try to urge others to use this simple task as a way to reach out to those in need. The goal with the class would be to inspire others to donate their good deals and freebies to ministries like Miracle Hill. Who knew that couponing could actually be a ministry? I certainly didn’t! But as you can see with the amount of food and products I’ve been able to donate, even getting just a few other people inspired to do the same would make a big difference! Global- Water Missions: While homelessness is a terrible problem, I believe every American has access to assistance that people in third world countries can’t even imagine. Millions of people live without access to clean water, which causes health problems and high death rates, especially among children. I first felt a burden for water missions when Steve and Jennifer Lorch, founders of Hydromissions, visited the church I was attending several years ago. They shared their story and showed how they were able to bring clean water to remote parts of the world using simple mechanisms often made out of bicycle parts and common hardware. For months Hydromissions would come into my mind, a repeated nudge from the Lord I believe. I wanted so badly to do something to help them. I told my husband and we devised a plan called 2 Wheels 4 Water. We drove 2 Vespas nearly 1200 miles across North and South Carolina to raise money for Hydromissions. The amount we raised, roughly $3300, is enough to fund eight deep wells in India. That was last summer and even now our trip is still getting publicity when just last week the official Vespa Facebook page posted photos of our trip. People involved in water missions continue to cross my path. Just today I read about a Carolina organization that was recently putting in a well in Peru and when I heard about the work they were doing I cried. My heart is so broken for this mission and I want to be a part of the solution. 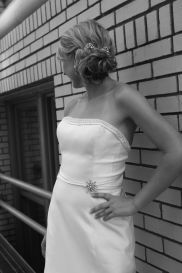 Although I’m not exactly sure how I will be used I have a couple of ideas I’ve been thinking about and praying about. While I don’t know if this classifies as a strategic plan, it’s definitely a place I will be putting my faith into action and you can be sure I won’t spend a year sitting around waiting for God to do something because I believe that’s exactly why he put me here. I’m a Celebrity Christian! Get Me Out of Here! It’s our latest summer addiction: I’m a Celebrity! Get Me Out of Here! It’s a new reality show on NBC that put a bunch of semi-celebs into the Costa Rican jungle. Whoever lasts the longest gets a bunch of money for their charity of choice. Two of the celebs are Heidi and Spencer Pratt of The Hills, a reality show on MTV. Speidi, as they’re known in Hollywood, have found God and after Spencer was baptized in the river by Stephen Baldwin (I’m not making this up!) he seemed to be a transformed man. Speidi constantly prayed, read their Bible and praised the Lord. They even announced to the clan that they were fasting in order to have spiritual clarity because the devil was attacking them. I'm a Celebrity! Praise God! I’m a Christian and so were the other three people I was watching this with. On one hand we cringed at some of the things Heidi and Spencer were saying, wondering what kind of damage they may be doing to those sitting on the fence about Christianity. On the other hand, I wanted to admire the fact that they were on fire for God and that He was the one being praised on this network program, not Buddha or whoever. We agreed that while Spencer and Heidi seemed to be missing the theological mark a bit, the show’s editors could have been making their Christianity seem more off the wall than it really was. It also struck me that Sanjaya, a former American Idol contestant, seemed to be the one with a true heart of a servant. Always cheerful, he was constantly looking for ways to help his fellow jungle-mates. He even quietly listened to a distraught Janice Dickinson, giving her a hug as she cried over a scary challenge that involved being locked in a tank with alligators. I guess it just proved that as Christians we have to find a balance between demonstrating our faith and throwing it in people’s faces. Since we’re all sinners that can be difficult, especially for reality celebs whose words are being chopped up and reassembled in an edit bay. Have you seen the movie Bella? We rented it from the library a few weeks ago. It’s a beautiful movie about sacrificial love and the power of listening. I did some reading about the film and found out about an incredible miracle that happened while the lead actor, Eduardo Verastegui, was visiting an abortion clinic to prepare for the movie. Watch the clip below to hear him explain what happened. The DVD comes out May 6. Donate a copy to your church. Tell your friends. Send the movie to your local women’s shelter. Miracles will happen.